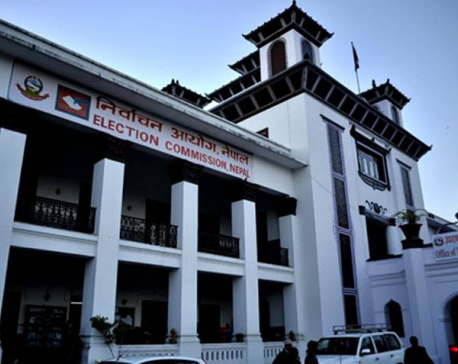 KATHMANDU, April 2: Bibekshil Nepali Party has filed a writ petition at the Supreme Court on Sunday challenging the provision of Local Level Elections Act 2017, which does not allow parties, other than currently present in the parliament, from contesting the elections with same election symbol across the country. The party's Chairman Ujwal Bahadur Thapa registered the petition arguing that all the political parties registered as per the law have equal rights to go to people in democratic process. The petitioners have also argued that the provision is discriminatory and undemocratic since the provision reflects the idea that 'all are equal but some are more equal'. The petitioner also argued that it is fundamental rights of all the parties to contest in the elections with their respective election symbols. The petitioner has also claimed that the Article 17 of the constitution has secured right to form political parties to every citizen and the provision of the act has violated the same constitutional provision. The petitioner has named the Office of Prime Minister and Council of Ministers, Parliament Secretariat, Ministry of Law and Justice and the Election Commission as the defendants. The petitioner has also argued that the provision of the act contradicts with the constitutional provision related to political parties.